studd | Whatever you like. 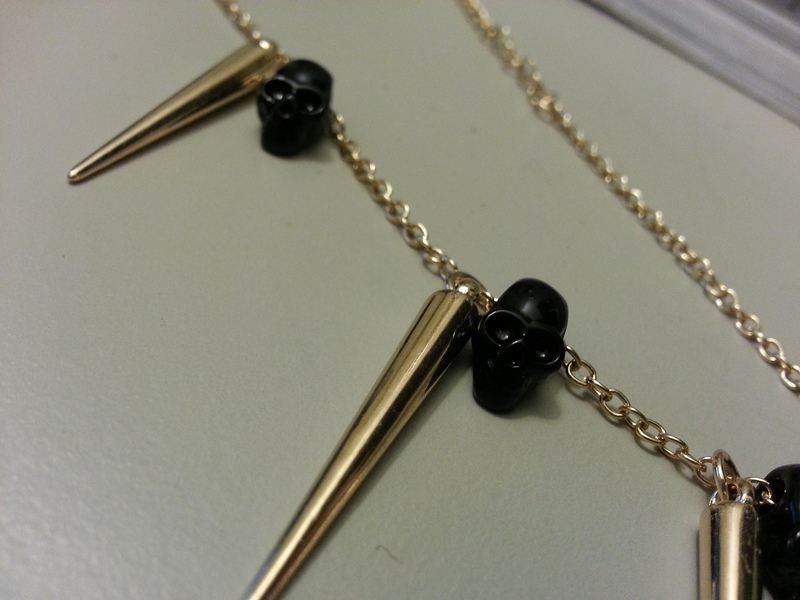 NTMC; Black skull studd necklace. Recently I have been ordering a lot from Ebay, and so is my boyfriend… I like to buy gadgets and cute stuff that probably are useless, but It’s fun to have! So I buy it anyway. At first I didn’t have a Ebay account nor a Pay-Pal account, so I made my bf buy everything hehe 🙂 Now I’ve seen so much things I’d like, I had to make my own account. But right now I have my credit card connected to my Pay-Pal account.. It’s not a smart move I’d have to say… It makes it so much easier to buy things online, TOO easy I would almost say. The good thing about having an credit card connected to your Pay-Pal account; easy access to The cheap accessories! 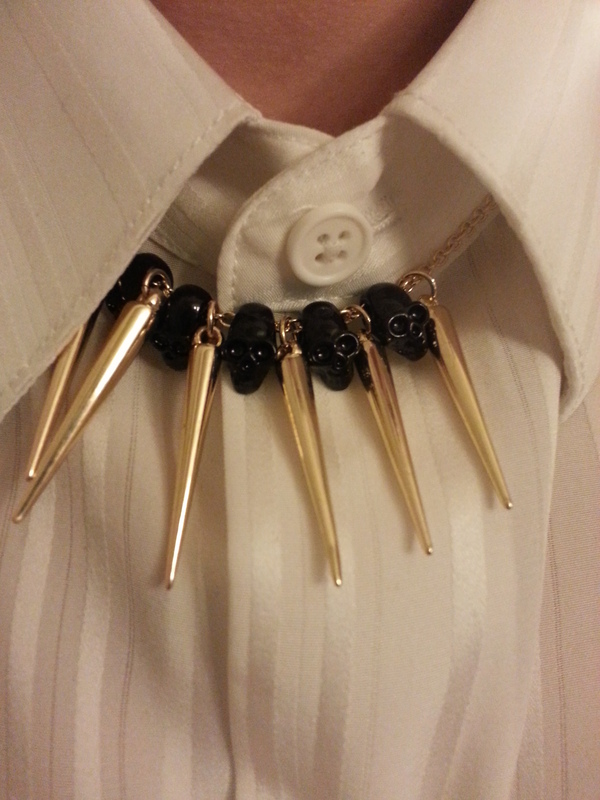 I really love to buy accessories from the internet, and especially from Ebay. They are extremely cheap, mostly come from China or Hong Kong, and are the same quality as in store over here. In store you probably buy a necklace for at least 8 euro’s. 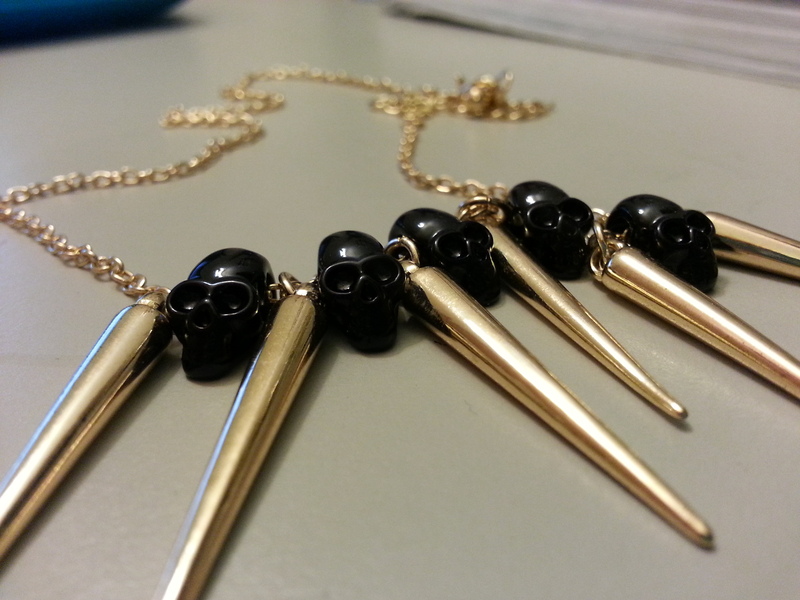 But this beautiful necklace I got for almost 2 USD. They all do move individually, so it can be annoying since they won’t be in place all the time. And also: For people in Holland, Ideal is now available on Pay-Pal, so you can transfer your money easily to Pay-Pal now without having to wait too long.